I wasn’t sure what I thought of this set initially…being a flower type girl myself..medallions aren’t usually my thing. But, I’m trying to stretch my creative muscles a bit. They’ve been couped up awhile in too much busy-ness. 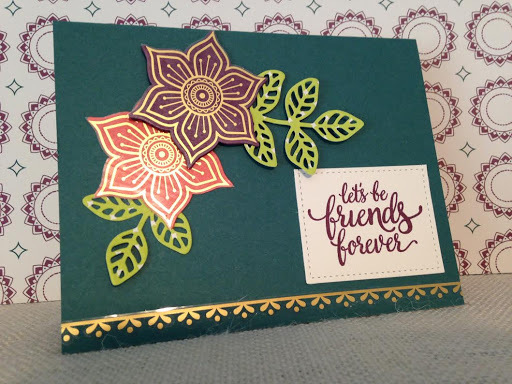 These two cards are probably 1/100th of the combinations possible with the versatile die cuts and versatile stamps in these bundles. It was so fun going around that circle and putting those cute little green…doo dads around it! That can only be done easily with photopolymer stamps…my favorite…love everything about pp stamps! You are seeing three of the new In Colors, Lemon Lime Twist, Tranquil Tide and Fresh Fig. Gorgeous colors! Rich colors! This card was inspired by a Patty Bennett video I saw. She managed to make flowers out of medallions. I used the Flourish Thinlits for the leaves. I’ll have to do a video on how to make a rectangle out of the square stitched framelits. This is first EVER customer pre-order! Woo hoo! SU! is offering two bundles that are in the new Catalog/Idea Book to customers, starting May 1st, a month before the catalog comes out! Click the link below to check out the bundles! 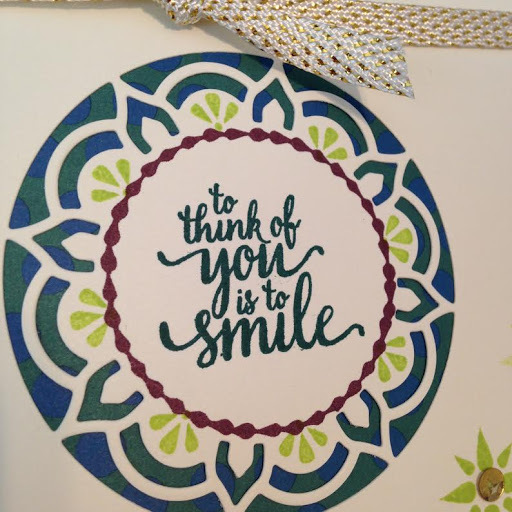 Gorgeous cards and great blog post. Thank you Wendy! They were super fun to make! I love the flowers made out of the medallions. You and me both share the love of all things flowery! I’m hoping to have some time to play with this set some more.